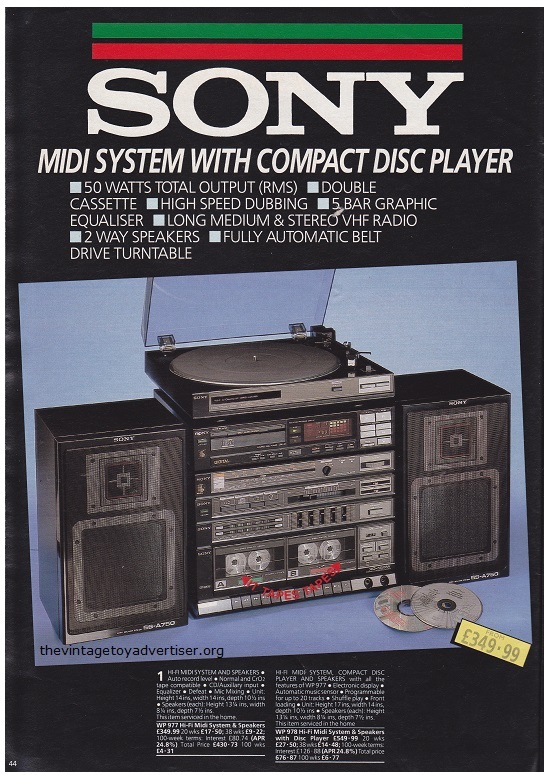 The latest Sony products as advertised in the Autumn Bargains Catalogue, UK, 1986. 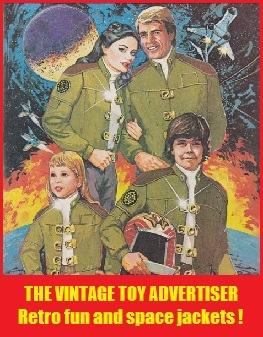 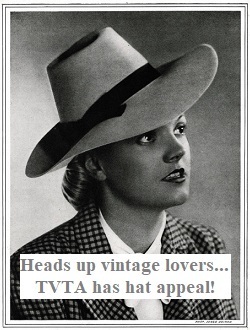 Autumn Bargains was a supplement issue to the Littlewoods Home Shopping Group, which included popular catalogues such as Brian Mills, Burlington, Janet Frazer, Littlewoods, John Moores and Peter Craig. 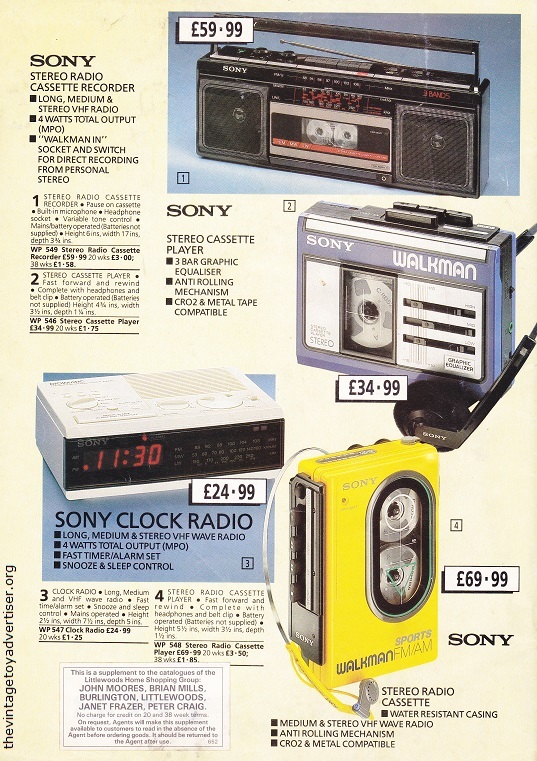 These companies offered their customers the opportunity to purchase items and spread the cost of payment over the year. 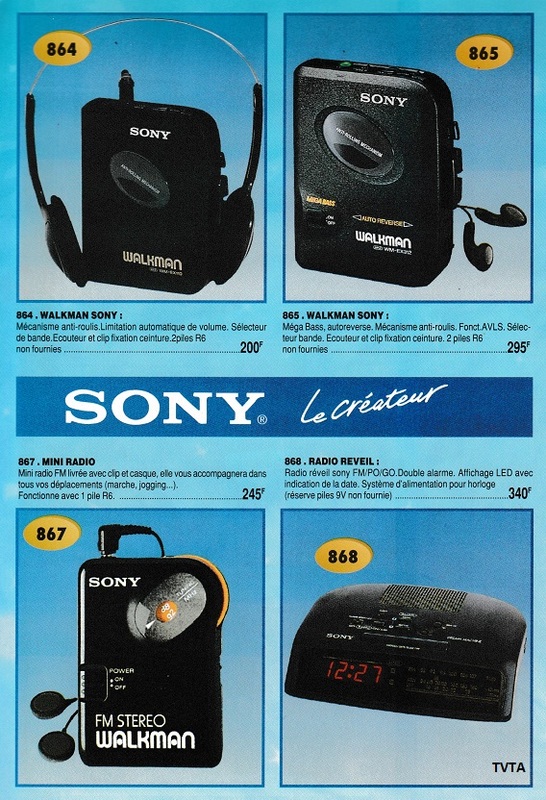 Fast forward 9 years to French catalogue Ets De Neuter, and some 90s Sony Walkman goodness. 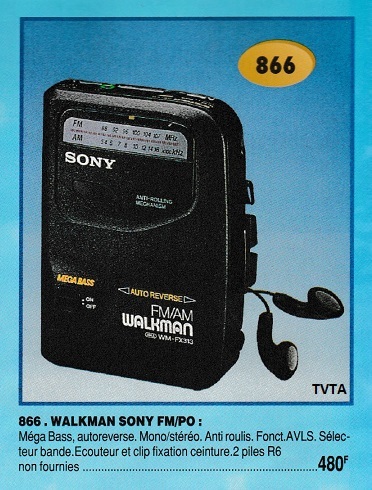 This entry was posted in Non-toy ad Tuesday and tagged 1980s Sony Walkman, 1990s Sony Walkman, Autumn Bargains catalogue, nostalgia, retro, Sony, Sony midi system, Sony Walkman, vintage Sony products on February 25, 2014 by The Vintage Toy Advertiser.